From then on go to the website of FandangoNow or use their app if supported. Please see supported devices between FandangoNow and Unlocator at the bottom of this page. 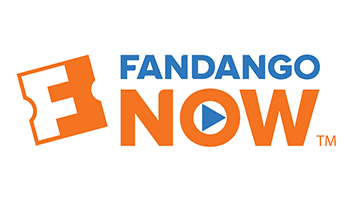 FandangoNow is the new name of the movie distribution platform M-Go. Unlike Netflix and Hulu, the streaming service doesn’t need a subscription, it’s a pay as you go service. You can purchase content not available on the two streaming giants like classic movies and new TV episodes. Moreover, you can buy, rent and download videos anytime provided you live in the USA. American expats, however, get instantly blocked when they try to access the channel abroad. Therefore, they need to resort to Unlocator so that they can bypass geo-restrictions and access FandangoNow abroad. Unlocator can help you circumvent these geographical restrictions. It’s a tool that cloaks your actual location and helps you appear to be browsing elsewhere. As a result, FandangoNow won’t be able to determine your current whereabouts and the geo-ban will be lifted. Now, you can download all the shows that you want while physically present overseas. Unlocator works by altering the URLs that showcase your location. While doing so, your internet speed remains unaffected and your IP address untampered with. All you have to do is sign up for a free Unlocator trial and follow the guides presented below based on the platform you’re operating.